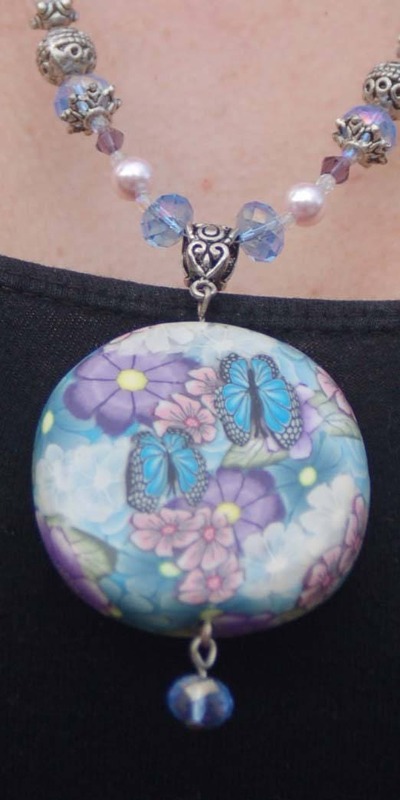 Polymer Clay Pendant Beaded Necklace, Pearl and Swarovski Crystal Necklace, Polymer Clay Pendant Necklace, "A New Day"
"A New Day" features a polymer clay pendant with playful butterflies and flowers. Just the kind of day I want to wake up to! 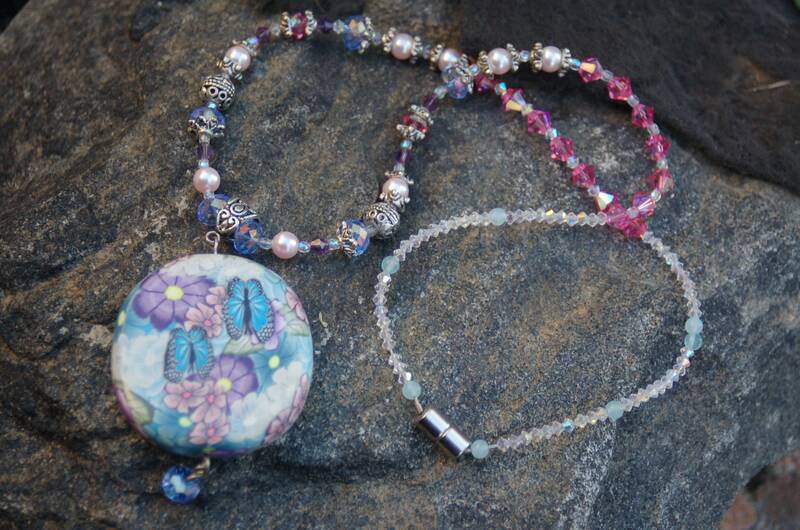 It's strung with freshwater pearls and Swarovski crystals and has a violet Swarovski Crystal dangle beneath the pendant. 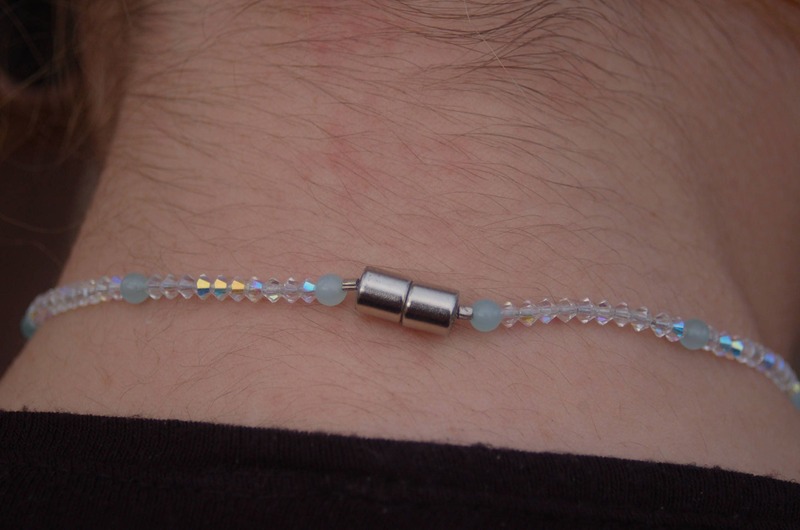 Most of the Swarovski Crystals are AB2X (Aurora Borealis, two times), and a few are AB. Quite the sparkle from this piece! When a pearl is formed, it is because of an irritation to the soft body of the mollusk. The mollusk, trying to soothe the irritation of stuck sand, forms a layer of nacre over it, followed by another and another until the pearl is formed. Since a pearl is created with layer upon layer of a substance produced to counteract an irritation…it creates a very nurturing, calming aspect for us. Pearls can lessen stress and it’s resulting disorders, such as hypertension, headaches, and exhaustion. 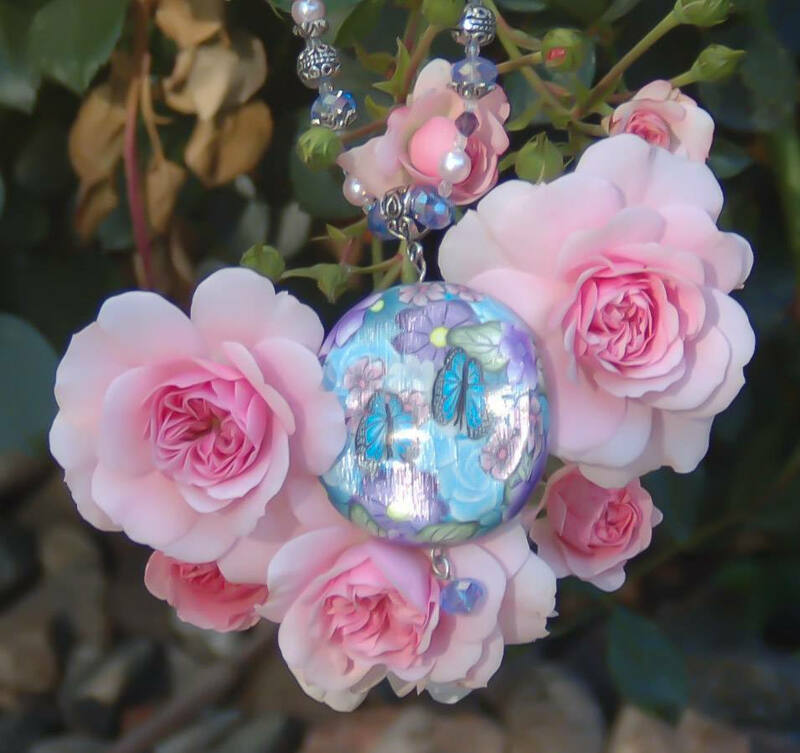 They assist to calm and center, as well as nurture your faith, loyalty, integrity and purity, and help women connect with your "inner goddess."